Looking for alternatives to National Parks caught in the government shutdown? In addition to this post we have two other articles that you may be interested in reading. They outline ideas for National Parks A-G and L-O. Those who live and visit Tennessee are fortunate. Despite the possible closures there are plenty of things to see and do. These posts contain only a few ideas to get you started. 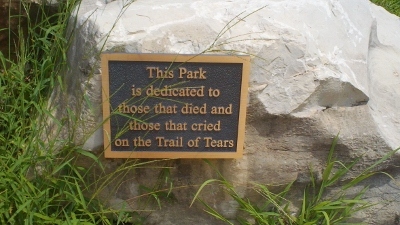 The Trail of Tears and some other sites on this list are Tennessee State Parks. As such, they are unaffected by the possible government shutdown. Here is our last list of other possibilities that are waiting to be explored. This area was made famous for the Civil War Battle of Shiloh. Much of what there is to do centers around the park. Savannah, TN is a little less than 10 miles away. Attractions in Hardin County include a historic district, antique shopping and more. Here's the link to the Town of Savannah. I'm going to put these two attractions together. One of the alternatives to possible closures in the National Park system is to visit the town of Murfreesboro. Government shutdown isn't much of a problem. Many of the attractions are locally operated or run by the State of Tennessee. A few links are on the website for Tennessee Vacation. Chattanooga, Cleveland, Vonore, Savannah and more. The center in Vonore is maintained by the Eastern Band of the Cherokee and shouldn't be effected. Visitors might also want to see historic Fort Loudoun. Red Clay State Park has a museum, trails and a spring with an interesting history. The website also has links to sites in Chattanooga that are unaffected by the closures. Any of these would be alternatives to National Park closures. The potential government shutdown doesn't have to stop your vacation plans.